Accessories end units of medical gases (BHU, Medical Beams and Ceiling Pendants etc.) is used for retrofitting and enhance the utility value medical facilities that are terminating units. They are modifiable and combinable exactly according to user requirements. Ramp with bar for the compact spring balanced arms SPR10 and SPR11 are a significant help everywhere, where a patient’s health condition requires simultaneous use of many medical devices. The medical devices can be fitted on the bar beneath the ramp, thanks to which they are hanging in the air and, therefore, not taking space on the floor. Its advantage is further extension of the electrical peripheries. It is possible to place them either on the wall, on the installed medical beams. 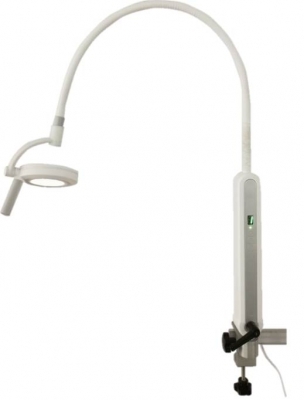 Little light with LED chip illumination and cone-shaped shade serves for basic examinations within inpatient rooms. Advantageous is randomly movable arm thanks to which you are not limited by individual joints and you can easily set the lamp to the most favourable positions. Among others, the medical workplaces require intakes of the medical gases, electricity and low current connections by virtue of ceiling pendants or fixed installation complexes (bed head units and bridges), spaces for monitor placements, laparoscopic systems, stowage spaces surgical instruments and other necessary medical material for surgeries or for care of the ICU or AR patients. 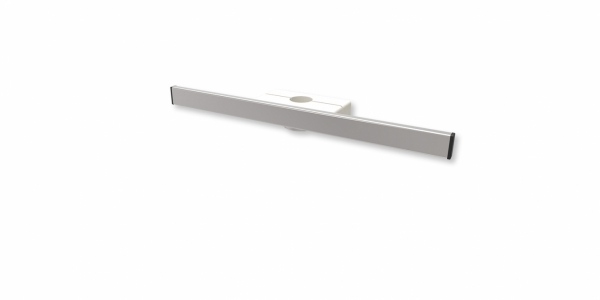 Shelf systems can be executed as pendant beneath the bed head unit, bridge or rotary complex. 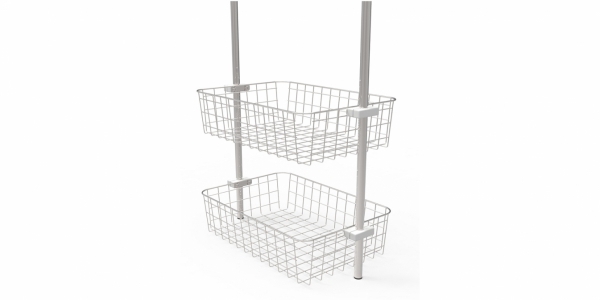 Baskets can be combined with the shelf systems based on the needs of the customer. Available only in stainless steel finishing. Not only all medical source units being equipped by universal medical rail, other specialized medical workplaces can be equipped by such medical rail too. With use of holders, bearing bars are attached for baskets and infusion hangers, shelves and other accessories. Not only all medical source units being equipped by universal medical rail, other specialized medical workplaces can be equipped by such medical rail too. With use of holders, bearing bars are attached for baskets and infusion hangers, shelves and other accessories. 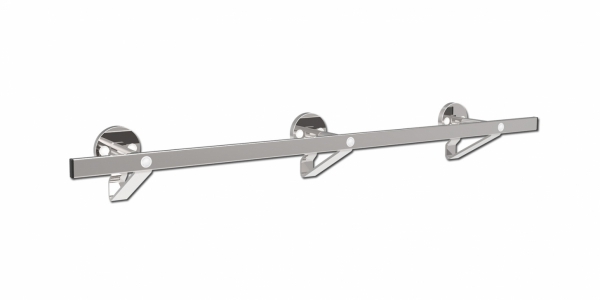 Universal medical rails can be fitted onto the wall by specialized holders. Used for monitor fitting by holder VESA 75/75 and VESA 100/100 onto Compact spring balanced arms SPR10 and SPR11. Used for monitor fitting by holder VESA 75/75 and VESA 100/100 onto Compact spring balanced arms SPR10 and SPR11. Includes shelf for keyboard and mouse. Used for monitor fitting by holder VESA 75/75 and VESA 100/100 onto Compact spring balanced arms SPR10. Medical departments need, in addition to the supply of medical gases, electricity and weak connections through the Ceiling Pendants or fixed installation complexes (BHU and Medical Beam), space for placing monitors, laparoscopic systems, storage space for surgical instruments and other necessary medical material for operations or for care patients on AR and ICU. 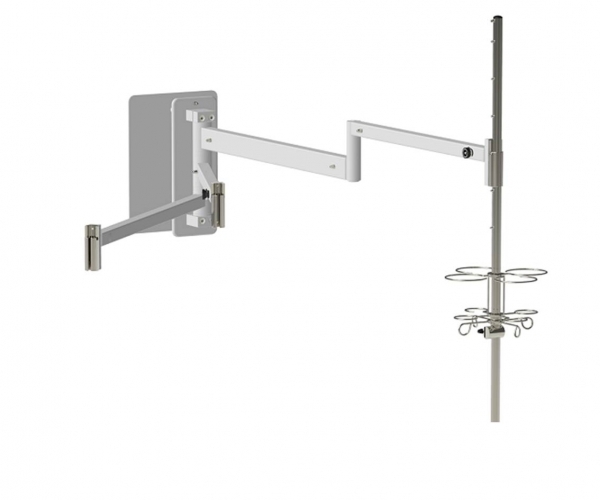 Shelf systems can be designed as a hinge under the BHU and Medical Beam or Ceiling Pendants, then mount shelf system for rod or medical rail. 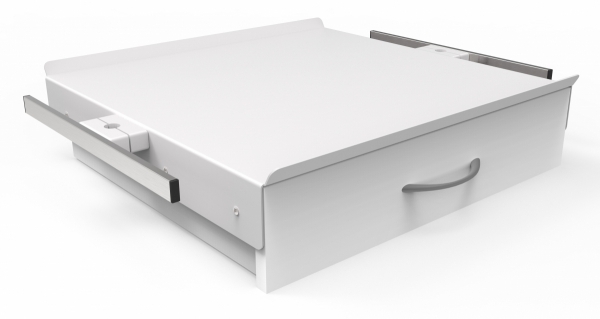 Shelf systems can be modified according to user requirements, load capacity and dimensions shelves are thus optional. They are available in a classic tin design with powder coated surface in color according to the customer or stainless steel. Shelf on medical rail used as swap space for ordinary medical supplies and equipment which is for medical personnel immediately at hand. 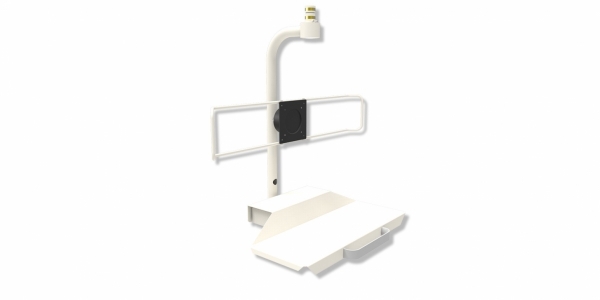 Shelf can be mounted to standard medical rail. 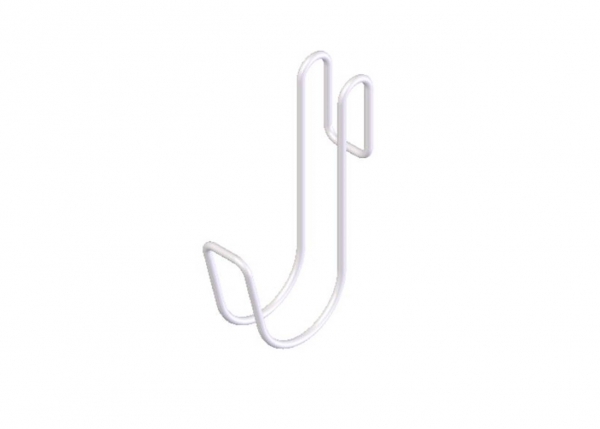 Refracted hangers are huge helper wherever the patient′s condition requires the use of many devices simultaneously. Apparatuses can be placed on hangers that are higher in the air and do not take place on the ground. 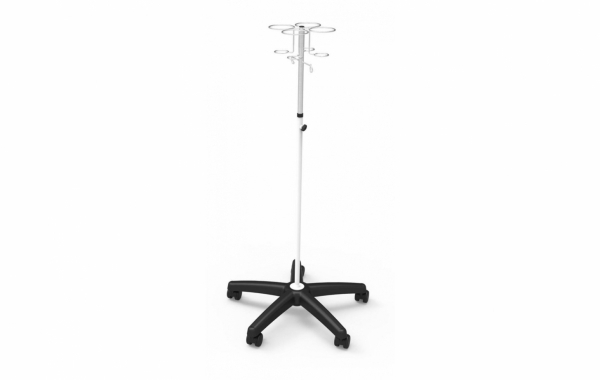 Hangers can settle many other accessories, especially infusion rod, holders infusion pumps, dispensers and monitors. They can be located both on the wall as well as on already installed end units of medical gases. Infusion racks serve to support up to four infusion bags and bottles. 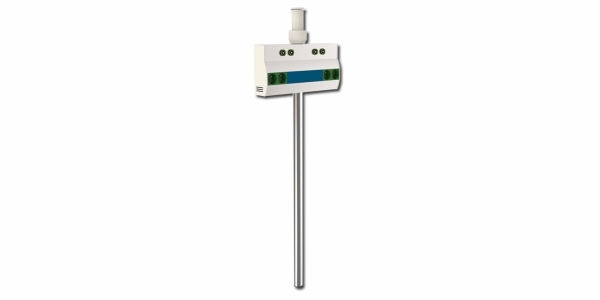 They can be attached to all types of Medical Beams, Ceiling Pendants or BHU. Their application is wide and is an integral part of the end units of medical gases in intensive care and ARO. 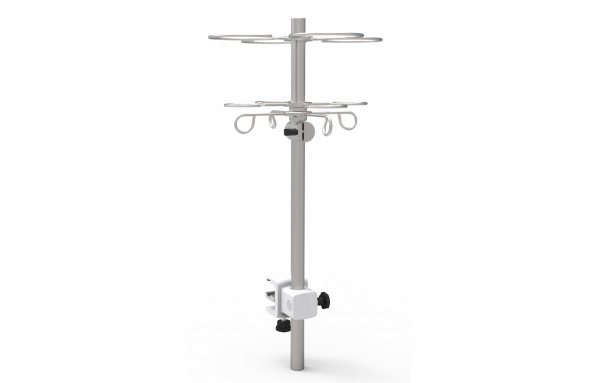 Mobile infusion stand is designed as a holder for infusion bottles, glasses and bags. 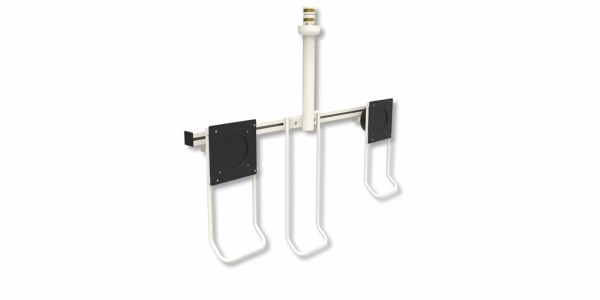 Due to its design we can hang up to 4 infusion bags at once and place it as needed beside the the standard bed or examination couch on any department in a hospital or nursing home. 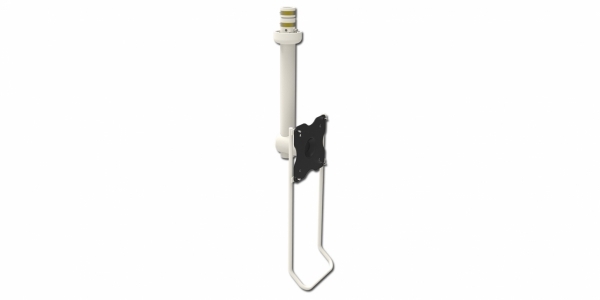 Cable holder with attachment to medical rail used for organized cable bundles and oxygen hoses for medical beds. There is available in two versions.